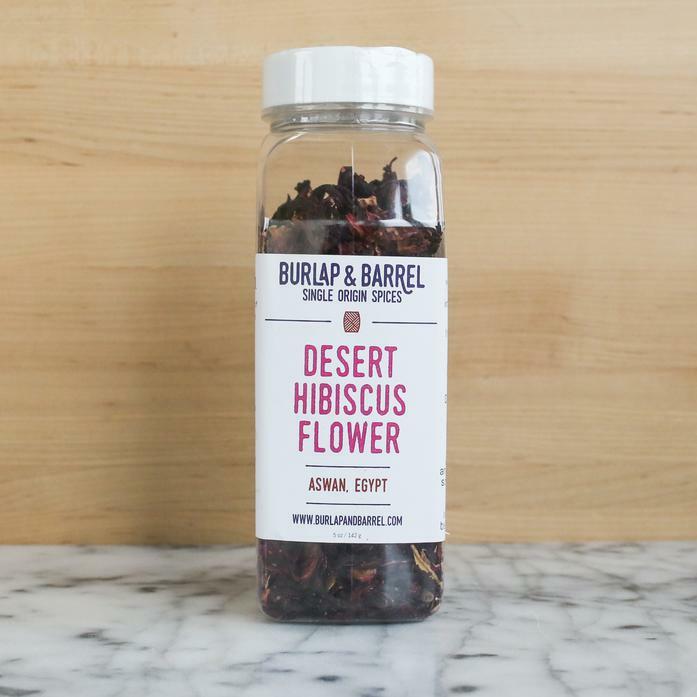 Our Desert Hibiscus is grown along the Nile in Aswan on the Egyptian/Sudanese border. Bright, fruity - perfect for teas, infusions, and cocktails. Each order contains one 5 oz container.